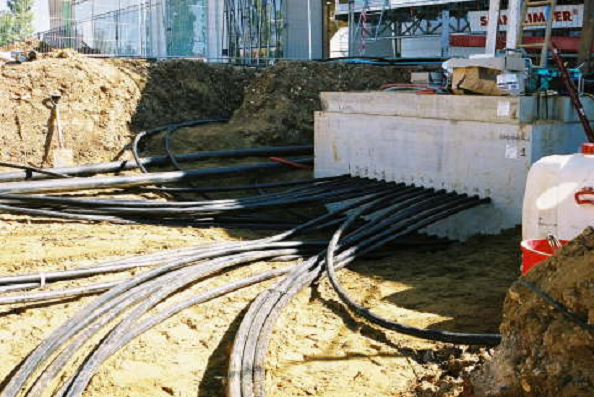 The vertical BHE loops are connected via horizontal pipework to either a sub header station or directly to the headers in the building plantroom. 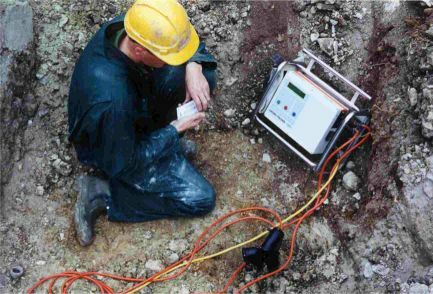 Whether vertical loops are individually connected or in parallel and what pipework diameters are used, is part of the hydraulic design. 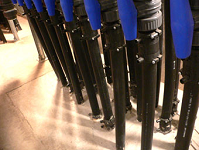 After installation of the horizontal pipework, it is visually inspected, flushed and pressure tested. Pipework needs to be protected before finally being covered in sand and backfilled. 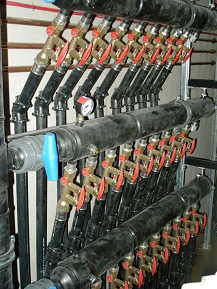 Pipes can betaken back to subheaders or to plantrooms direct. Fushion welding,using industry standard welding sockets for all underground connections. Pipe material is PE 100 SDR 11 pressure class. Headers are PE100, pre fabricated, pressure tested and installed on site.